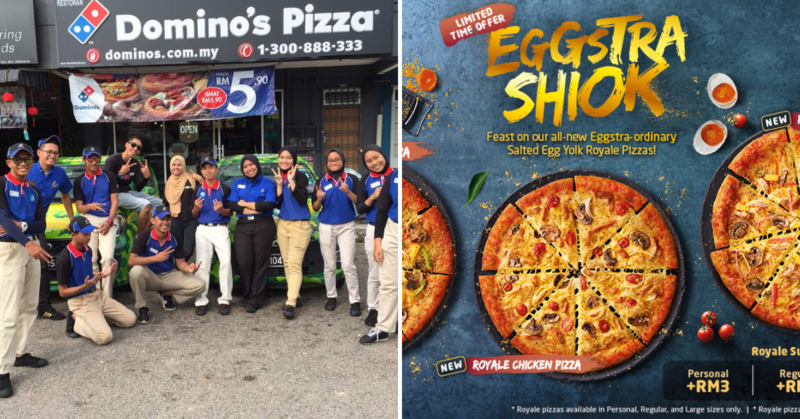 Have you tried these Malaysian Food? 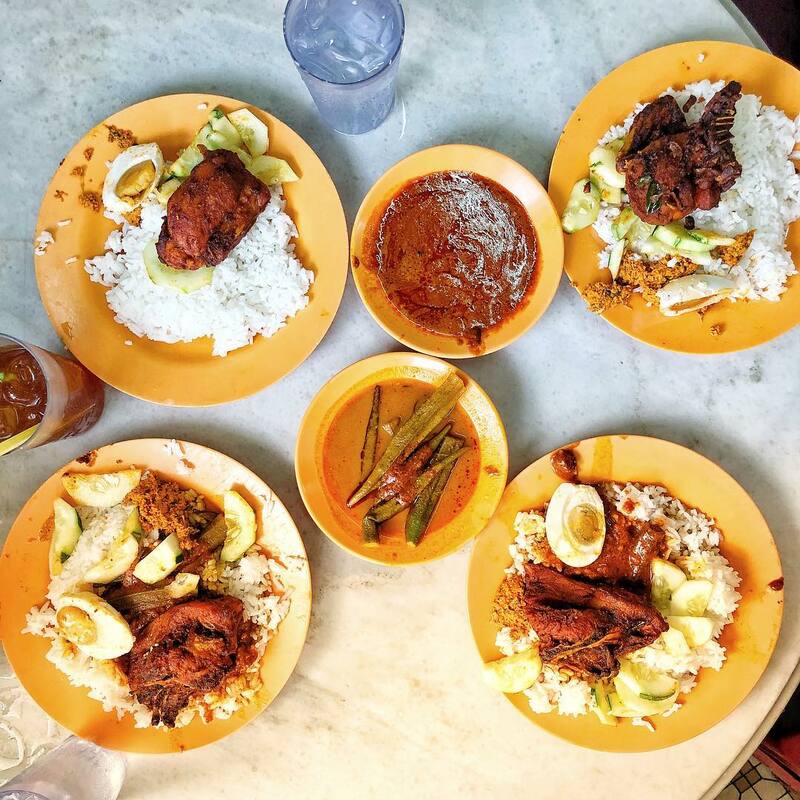 Indulging in Malaysian food should be a prerequisite for anyone proclaiming to be a gastronome. 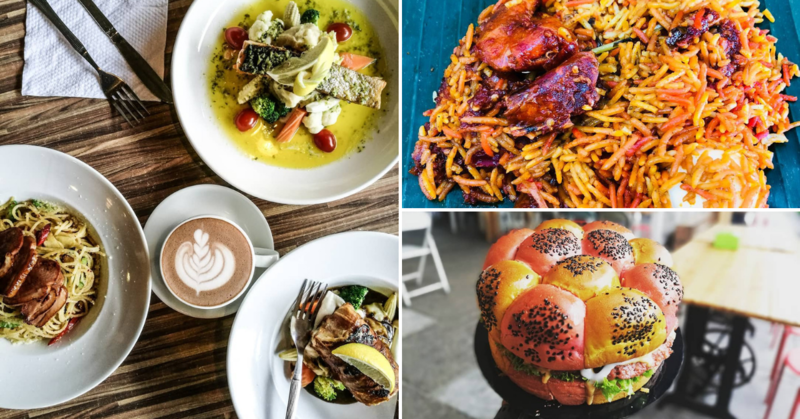 The holy amalgamations of Malaysian flavours are strengthened, not only by fierce spices but by a group of people that are intensely passionate about their cuisine. 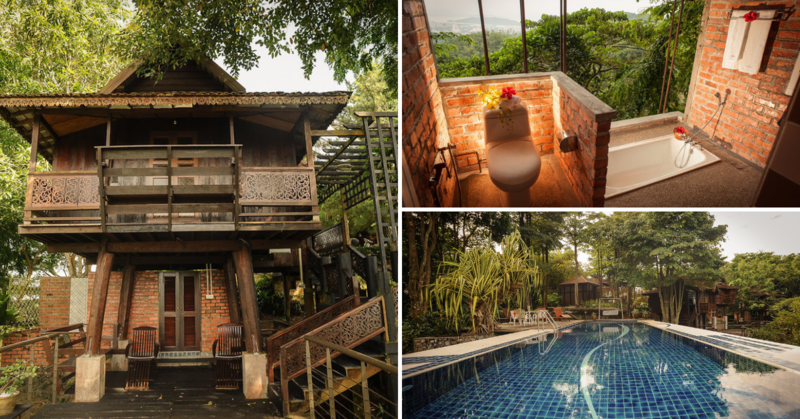 If you’re travelling to Malaysia and looking for some of the best eats in the country, then today’s blog is for you. 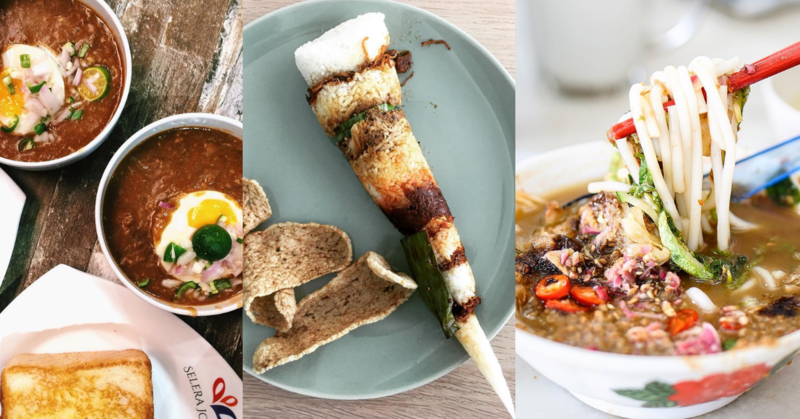 Because we’re going to reveal 13 best and popular Malaysia food in every state of Malaysia. 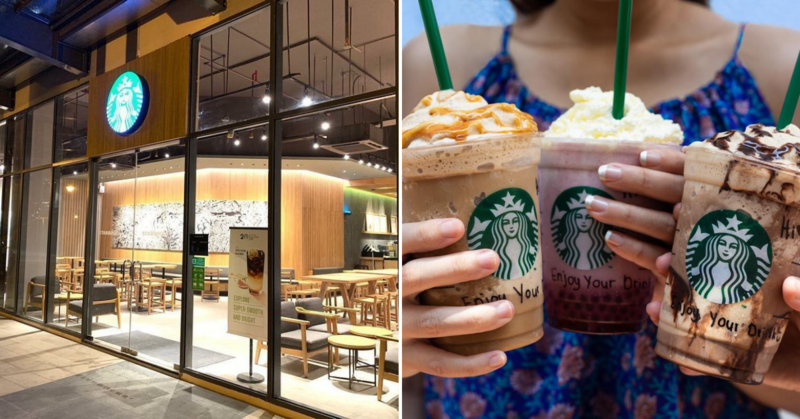 And with an exposure from the Chinese, Indian, Malay influences, we are blessed and grateful enough to show you the uniqueness of our country through this list of signatures from each state in Malaysia encompassing flavours, spices, and love! 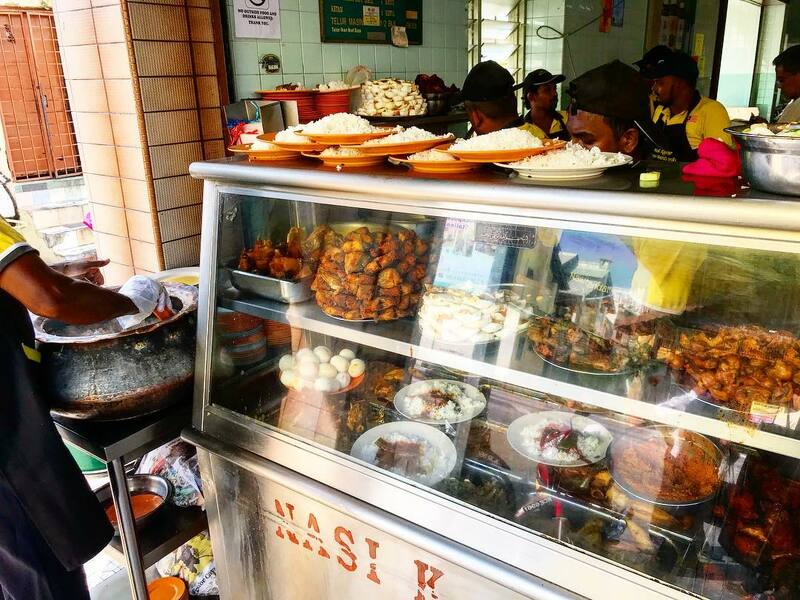 Are you ready to explore Malaysia food? 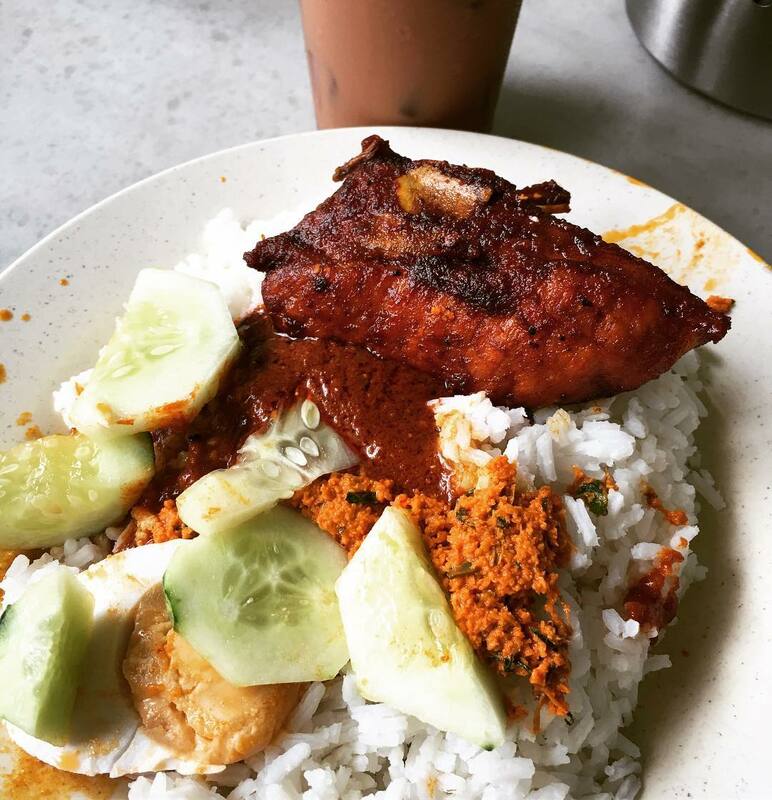 The very first Malaysian food you’ll love is Ikan Bakar. Perlis is known to be one of the smallest States in Malaysia having to share its border with Thailand making it a melting pot for the Malaysian-Thai culture! 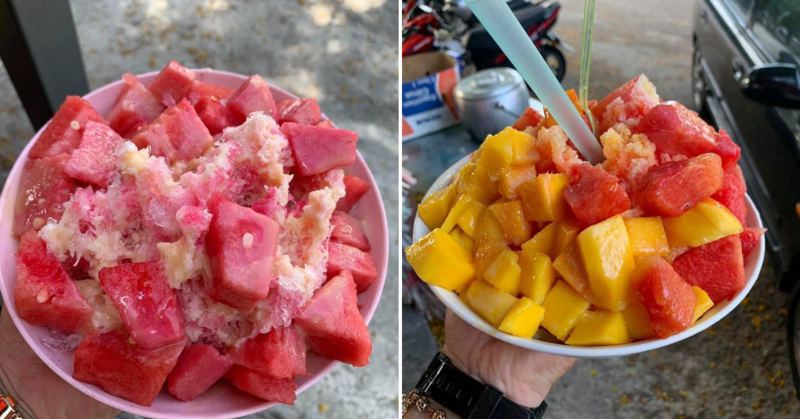 These days, Perlis still maintains close ties with Thailand through the border towns of Padang Besar and Wang Kelian, which means there is no break in the cross-border culinary and cultural exchanges. Apa yang best dekat Perlis? 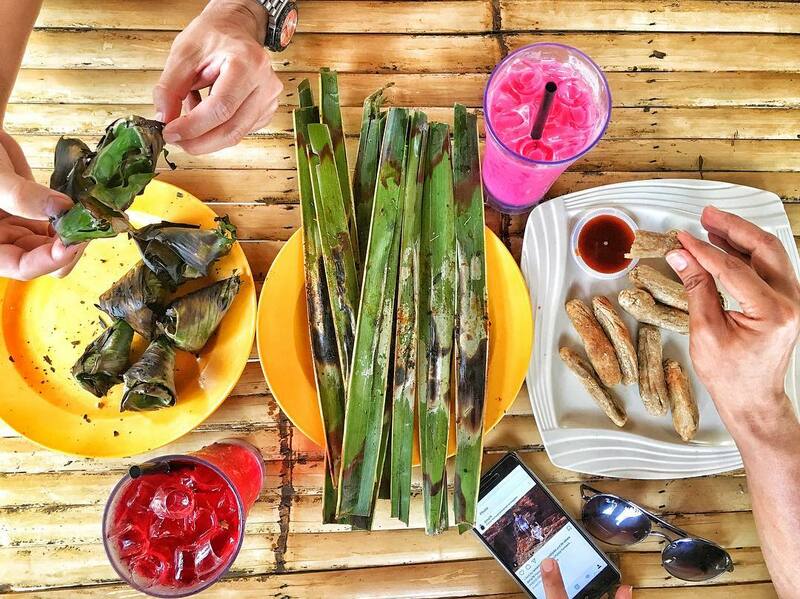 or What’s good in Perlis is a commonly asked question in Perlis and the answer to this is their fresh seafood. 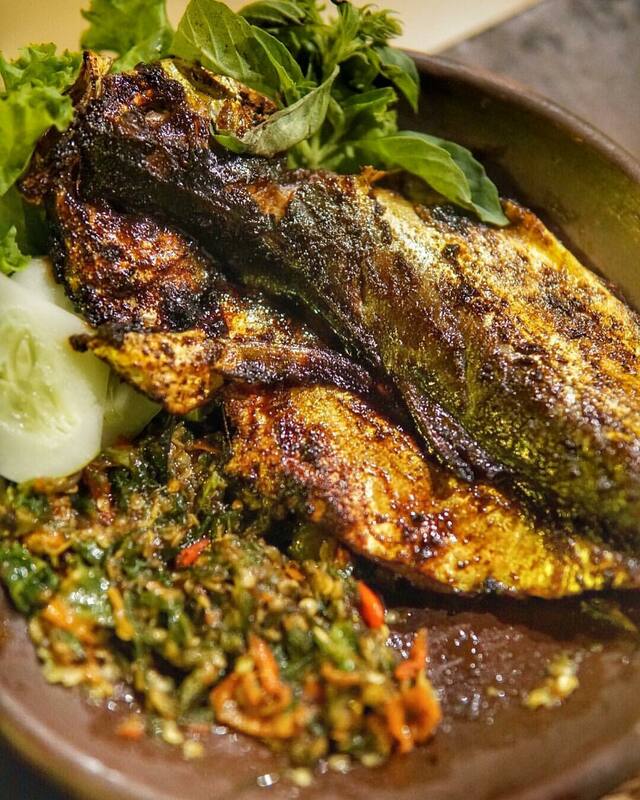 Though Ikan Bakar is a particularly iconic food of the state. And it’s simple as it can get to get them prepared Marinated in turmeric, salt, and pepper and grilled over a charcoal grill to give it a smokey flavour the star of the dish comes in two dipping bowls: Air asam and Chilli sauce. 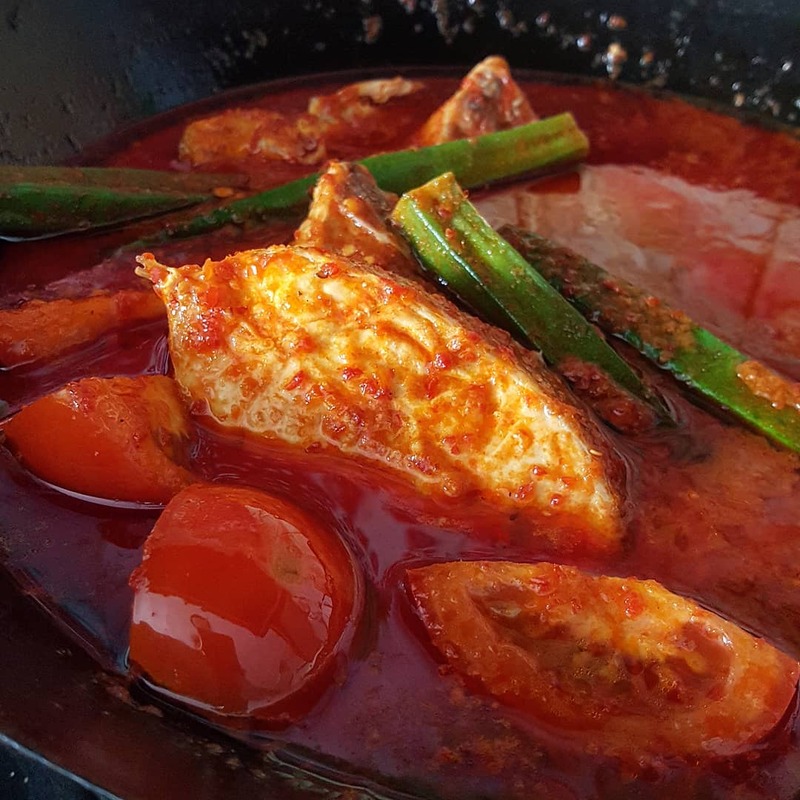 The chilli sauce is a truly Perlis creation made up of red chillies, salt, pepper, light soy, and oyster sauces, fish sauce and Thai chilli sauce. One way to be here is if you’re travelling from Langkawi to Kuala Kedah and if there’s one thing that will you keep you excited to land on the lands of a pungent smell(Nevertheless a beautiful place to visit) coming from the ocean and fishermen boats, it’s the dodol. Sweet thick and sticky-toffee-like candy made of coconut milk, gula Melaka (brown sugar) and rice flour is something to try once in a lifetime and not wanting to stop having after. 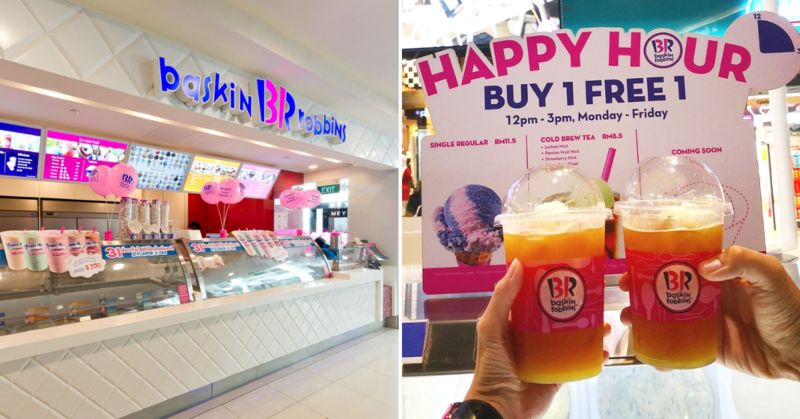 With various options of flavours available such as durian, coconut, and pandan, our personal favourite would be the pandan, gentle and cloudlike in the mouth! Located in the hierarchy of Hari Raya signature, it can be said that Dodol represents Malaysia one way or another. 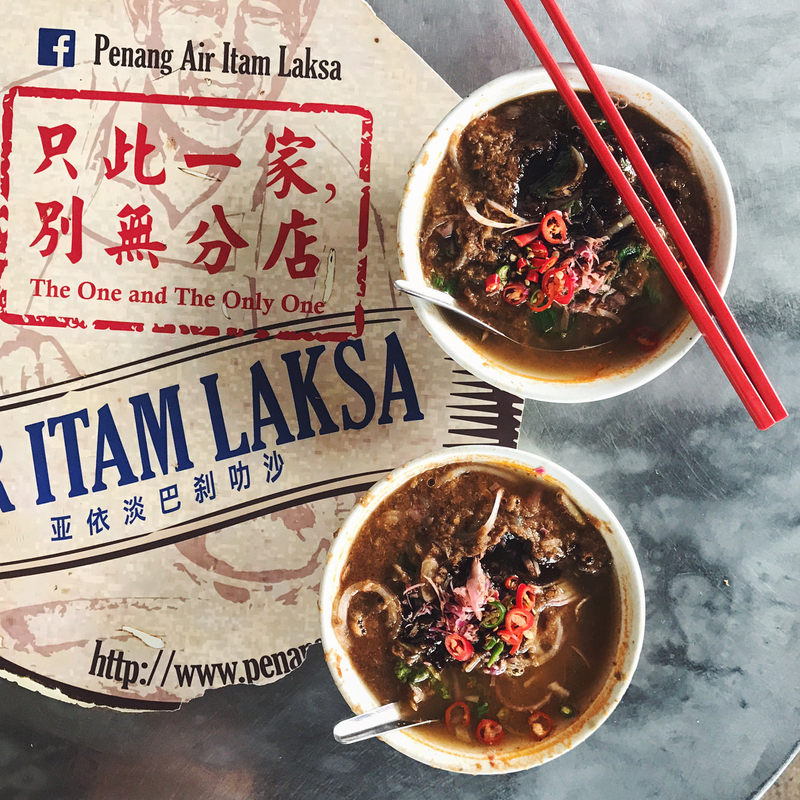 Another must-try food in Malaysia is Penang’s laksa! It all began when Francis appointed Koh Lay Huan (Chinese Tycoon) as the towkay or Kapitan, of Penang’s new Chinese community. With local wives in many ports, he was plugged into a community of wealthy Malaysian-born Chinese merchants, known as Peranakans or Baba-Nonyas, who had been living at Thailand and Kedah coasts for centuries—long enough to develop a fusion cuisine distinct from the Malaccan Peranakans living further south. Laksa was a magical combination of the best of both worlds! Sweet, sour and spicy – those are the three magic words best described for a fulfilling bowl of Penang Asam laksa! 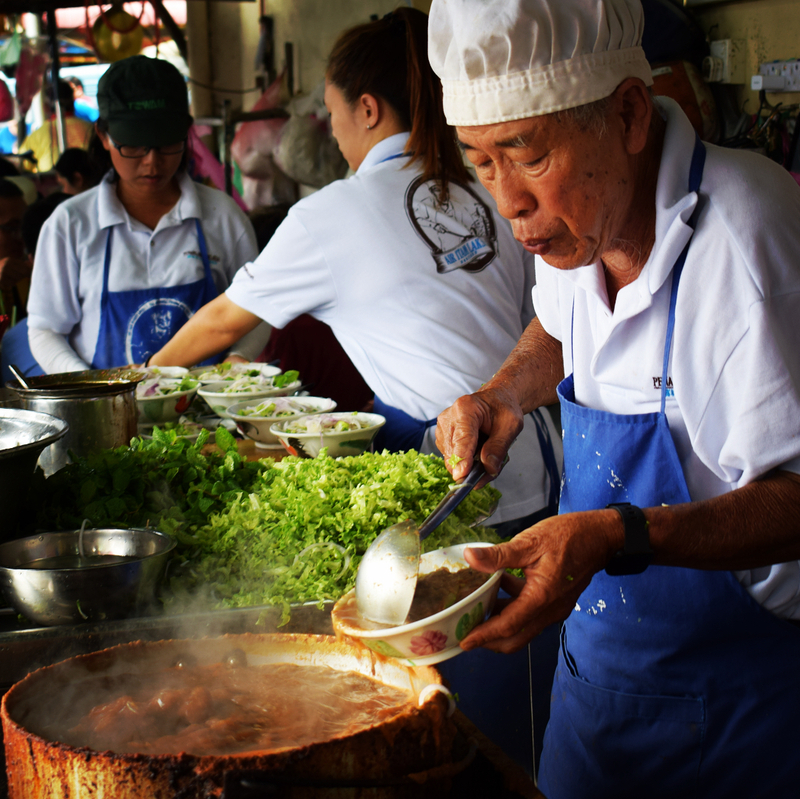 In Penang it’s a soupy noodle dish common throughout Southeast Asia made not with coconut milk but with tamarind. Infused with flaked mackerel and tinted fire-engine red by a mixture of chilli and shrimp paste, the slippery, fat rice-noodles swim alongside handfuls of colorful herbs—lemongrass, galangal, turmeric, ginger flowers, shallots—all topped with a sprig of Vietnamese coriander (or laksa leaf) and finely sliced pineapple. While it’s the ‘high’ you’ve been looking for, the only way you’re gonna get high here is through this hearty rice dish flooded in a mix of curries topped with one (or two) succulent and crispy ayam goreng merah (red fried chicken), salted egg, okra, and mint chutney. Truly one and prolly the only way to get the hearts of Perakian! 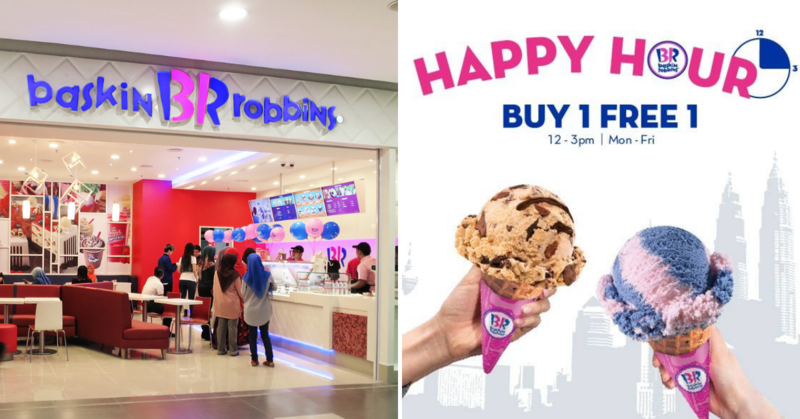 Operating since 1957, this meal to the perfect way to snooze away for the rest of the day that will only cost you RM5 or so! Unbelievable. Hours: Saturday 9.30 AM to 6 PM. Opens daily. 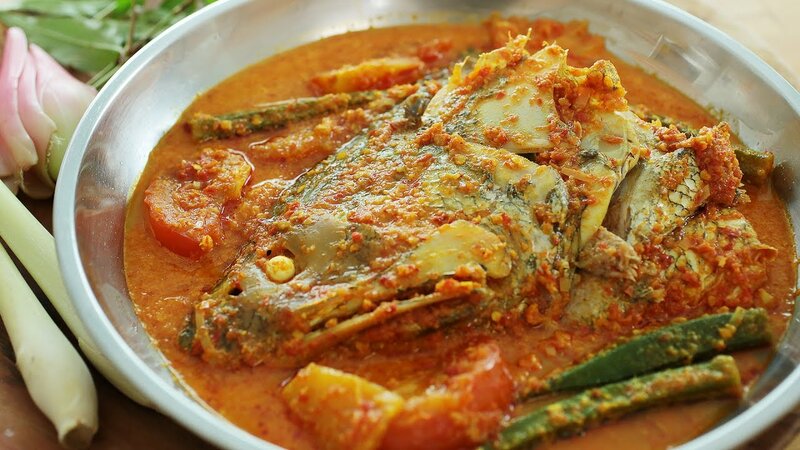 With the longest river in Peninsula Malaysia flowing through the state, freshwater fish is a staple for many Pahangites, particularly Ikan Patin, the Silver Catfish. Also Durian from the many orchards of Pahang. 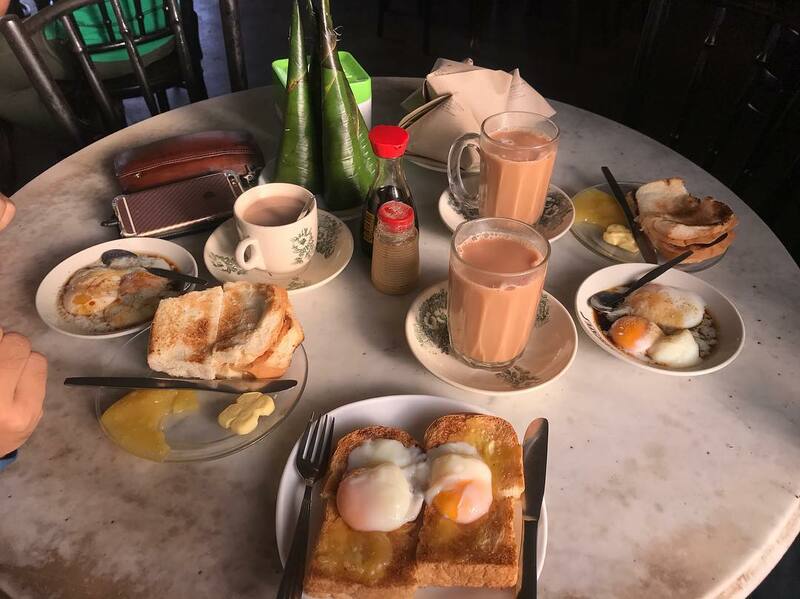 While this combination may not seem as perfect as peanut butter and jelly,rumour has it that it’s way better and the ideal way to complete your Pahang trip with a taste of this fragrant golden-yellow broth. 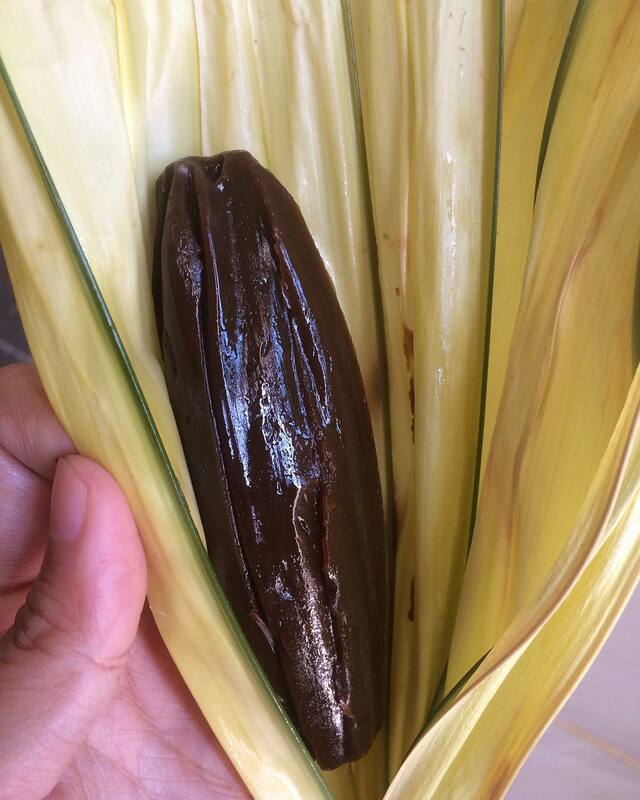 Flesh from the durians are fermented into a paste called tempoyak. They’re then added into a curry dish with the Ikan patin, turmeric, galangal, garlic, ginger, and other spices. Pairs perfectly with white rice accompanied with freshly plucked ulam leaves and a telur dada. Savory, slight spiciness, and fragrance all up against your space! 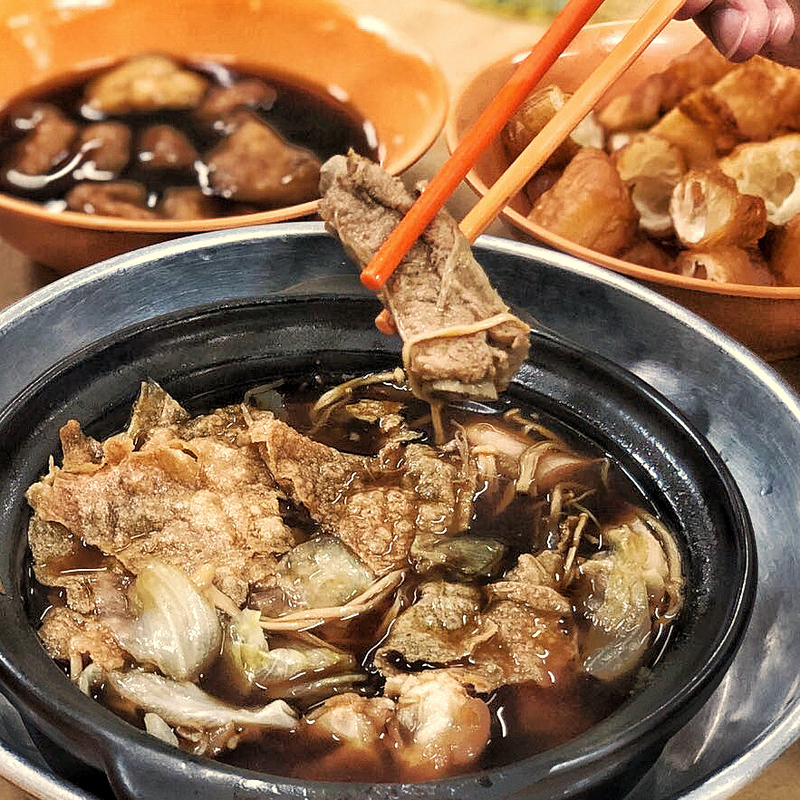 Also known as “meat bone tea” in Hokkien,Bak Kut Teh is no stranger to Malaysia. Though its origins aren’t clear, it’s pretty much accepted that it was brought over from Fujian in China, before setting up its roots here. 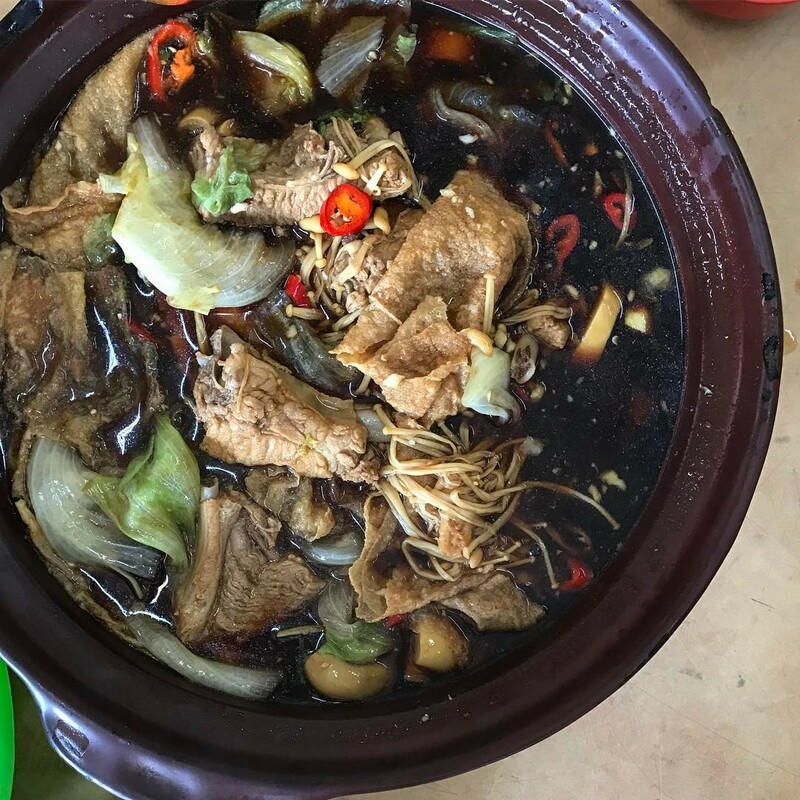 In general, there are two types bak kut teh that you can find. 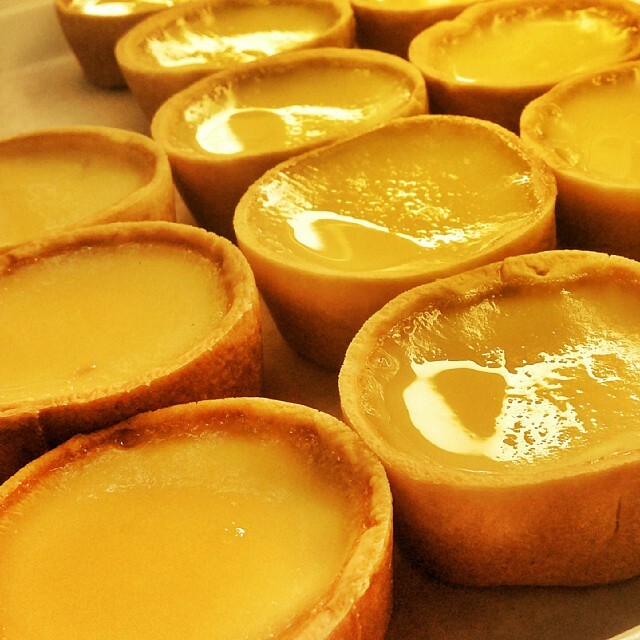 One is the Teochew style, which has a peppery and garlicky broth that is clearer – more commonly found in Singapore. 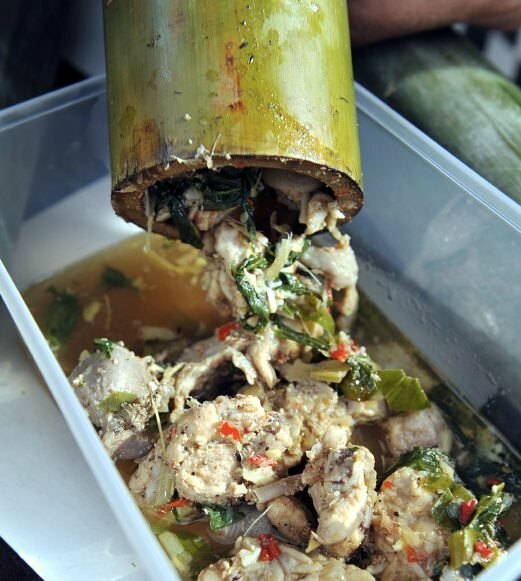 The other is the Klang style, with a darker soup made with plenty of herbs, giving it that sharp medicinal taste. But there’s also the Ban Lee style herbally and juicily representing the Selangor peeps! 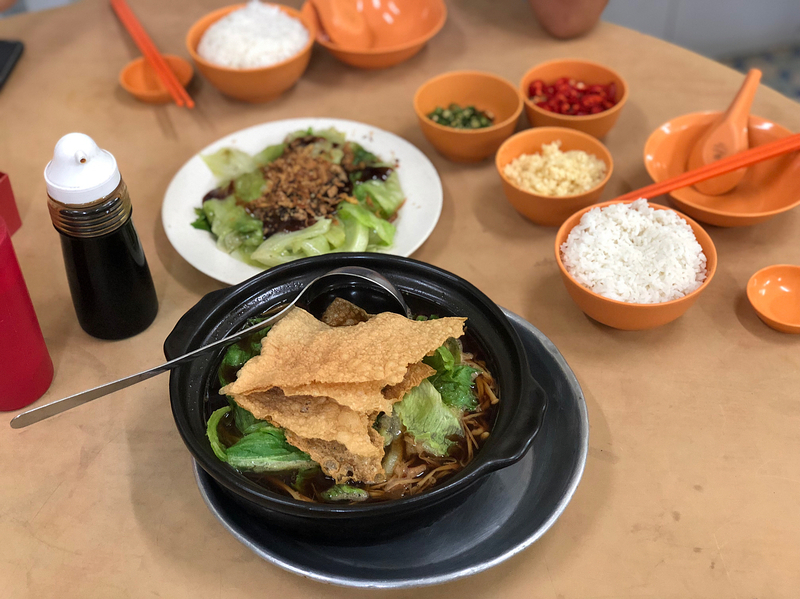 Come in during a rainy day for the best effect, and order a comforting claypot of good old bak kut teh with a bowl of rice (maybe more). Located in old-time shop lot, they’ve got the soup to handle you until 3.30am. With two options coming in either clay pots or ceramic bowls, the difference between the two lies in the cuts of meat. Whole pork bones are better served in a small ceramic bowl filled with a dark concentrate of broth while regular cuts like ribs and belly are good to go in a clay pot brimming with toppings like crispy fuchuk, tau fu pok, and romaine lettuce, the comforting broth is best savored with a bowl of rice and a side of Yau Char Kwai. Hours: 5:30 AM to 3:30 PM. Opens daily. Melaka was a port where it all began. While the state is rich in the untold and bonds it is equally over-whelming and rich in every bite of the dishes originated in this very own land. 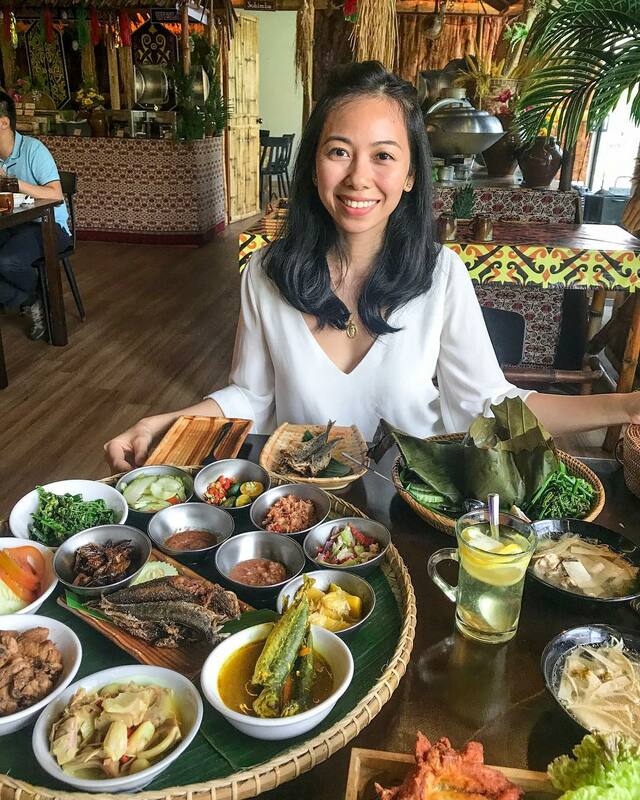 Favorite among the Peranakan community, Asam Pedas is the best representation of their cuisine which offers a melee of sour and spicy notes on your taste buds usually paired with fish/seafood cooked in asam pedas soup, made from tamarind juice, chili, and an assortment of spices. Typically, the dish also includes vegetables such as okra, eggplant, long green beans, and tomato, a simple team up with steamed white rice is enough to steal the show. 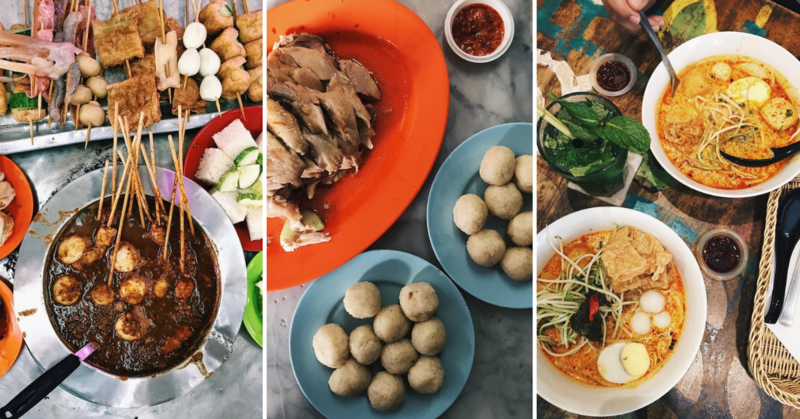 Featuring mostly authentic Nyonya Restaurants in this article, most of the ingredients and technique go by the old book of the cuisine for the best flavors! 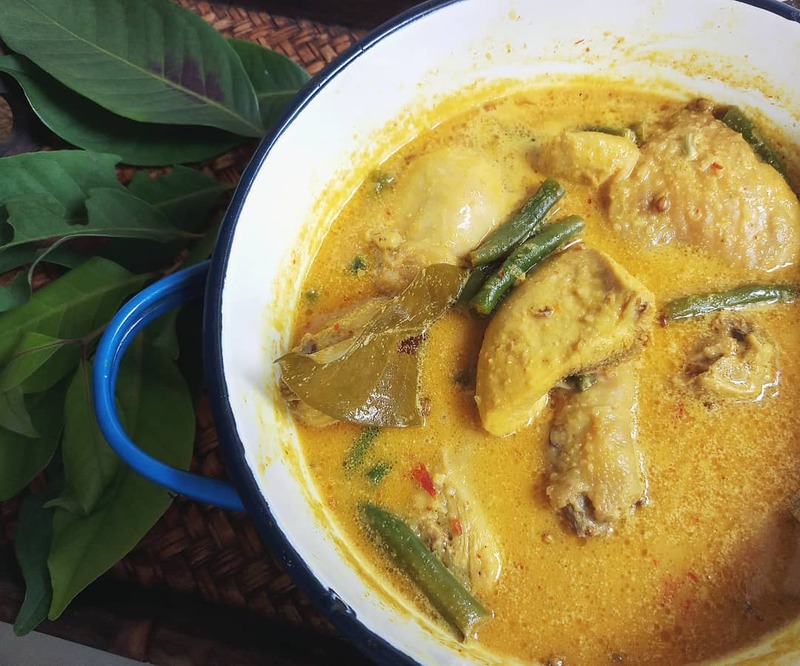 You’ve not lived if you’ve never tasted Negeri Sembilan’s staple dish among the Malay community inspired by spicy Minangkabau flavors, masak lemak cili padi! 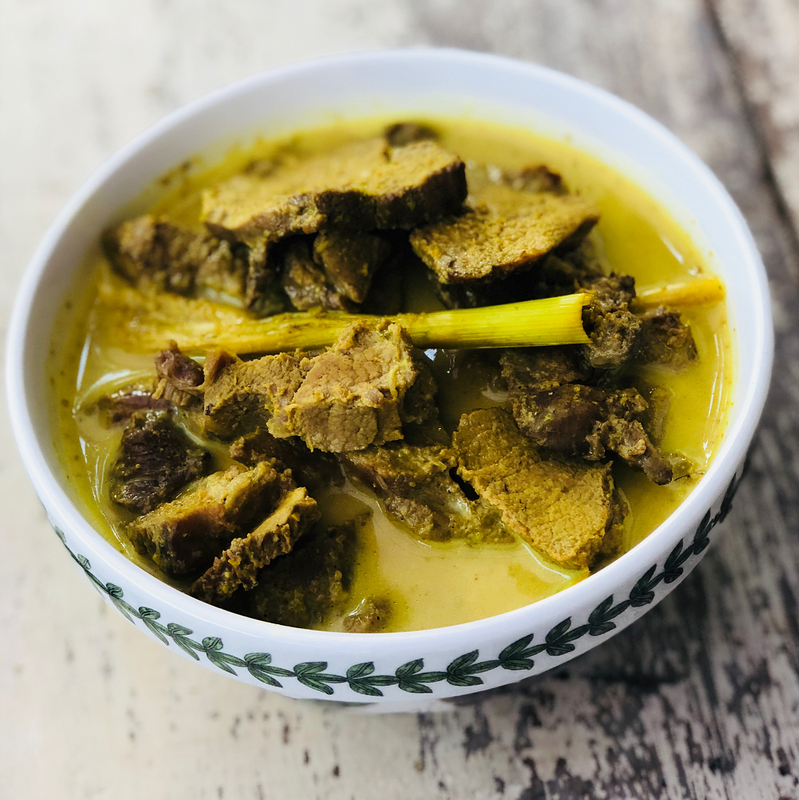 This prized traditional negeri dish gets its deep flavours from the smoked meat (daging salai), that’s been marinated with herbs and spices, and slowly smoked over coal fire. 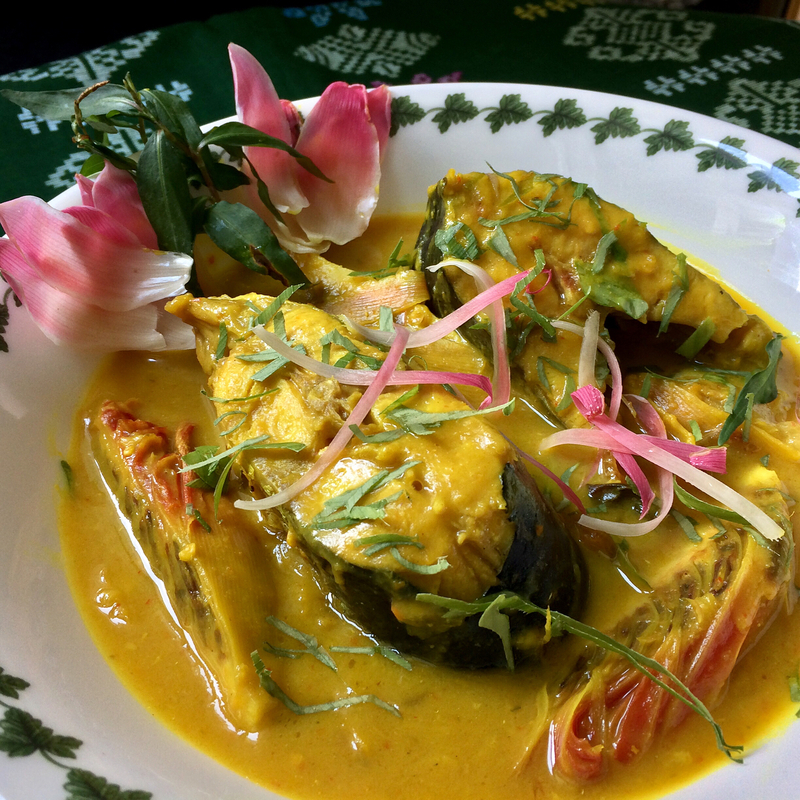 It’s then simmered in a thick golden gravy of coconut milk and blended aromatics of fresh turmeric, shallots, cili padi, and lemongrass. 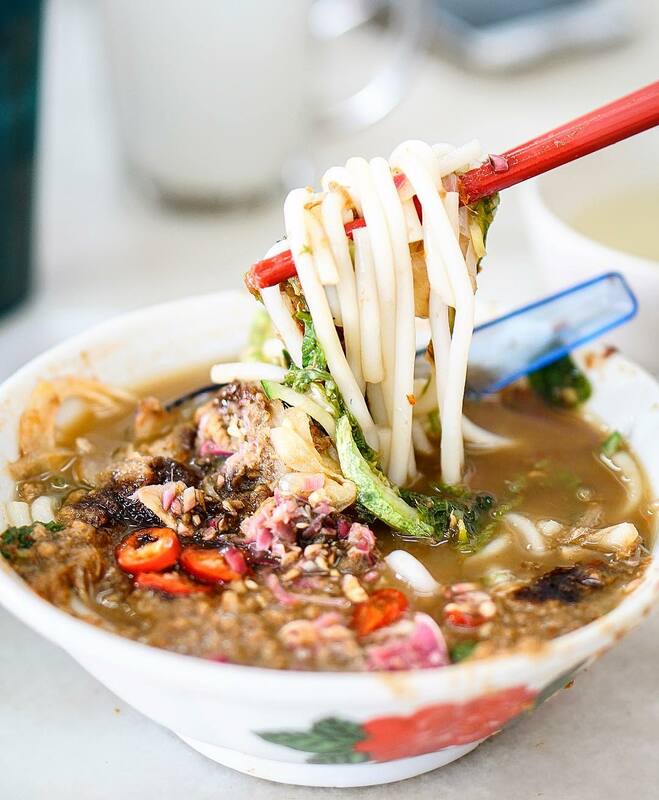 Imagine slurping the warm broth that’ll instantly awaken your taste buds while increasing your appetite thanks to the heat from the chilli. 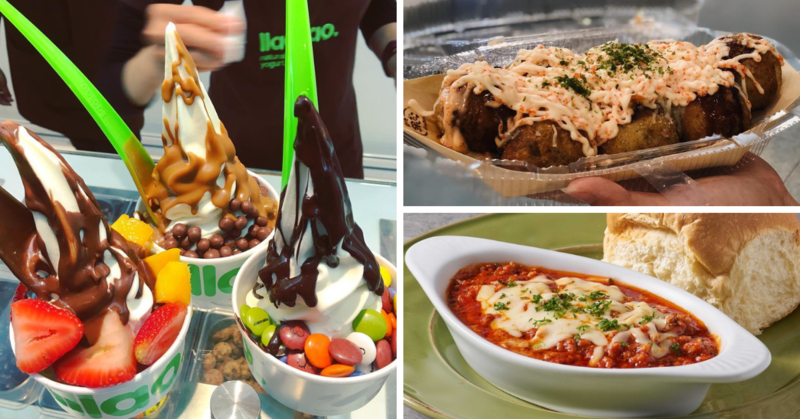 Sure, it’ll make you sweat but it’s so worth it as you’ll be licking the bowl clean and as soon as you leave, you’ll be mentally planning your next trip here again! 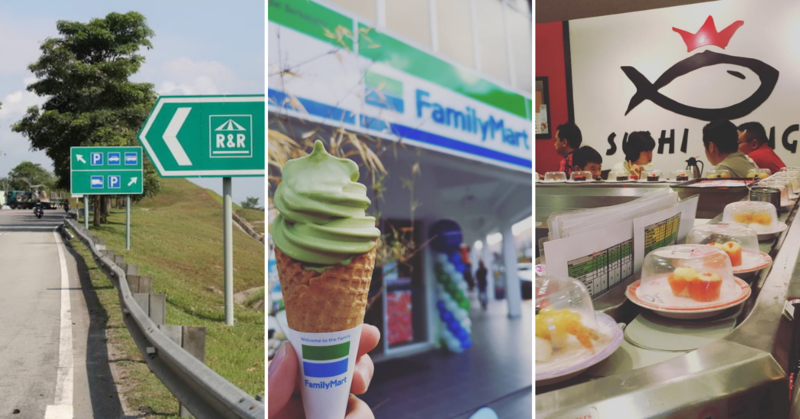 Where: Various Malay restaurants, eateries, or food stalls in Negeri Sembilan. While you’re at it, give their siew pau (usually non-halal) a try as it more synonymous with Negeri Sembilan that any other dishes. 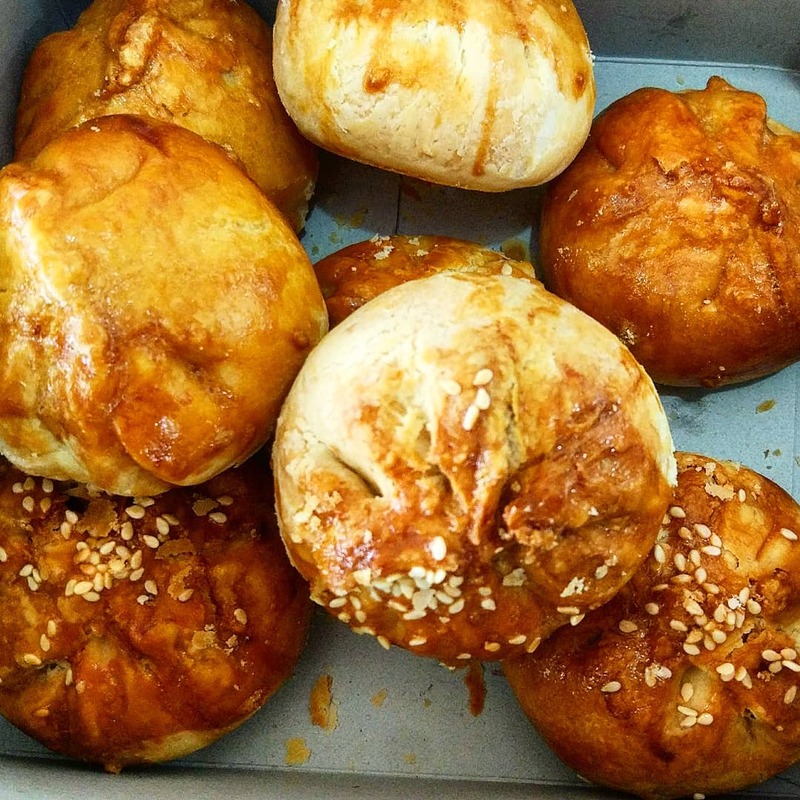 The crumbly pastry is often filled with succulent meat fillings like pork or chicken and is one of the main reasons foodies flock to the state. Kee Mei is the way to go! 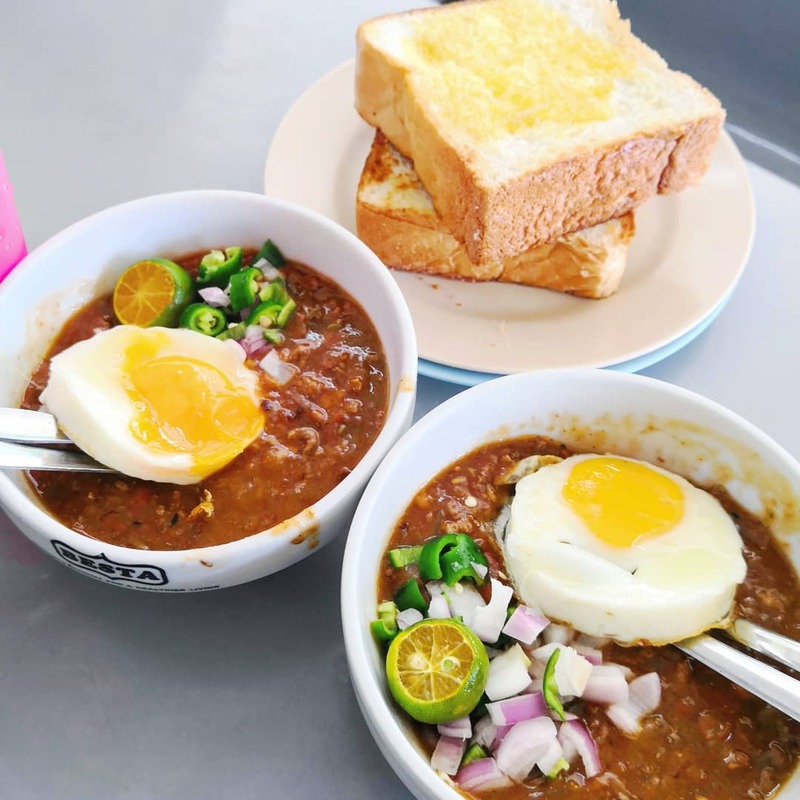 Inspired by foul mudammas, an Arab dish that is centered on its delicious gravy made of beans, herbs, and spice is popular in the southern state of Johor. An Asian equivalent of the all-American chili, this hearty meal is served with green lime, sliced chilies, chopped onions and topped with a sunny side up egg. (Break the yolk and mix it in the gravy for added yumminess!) 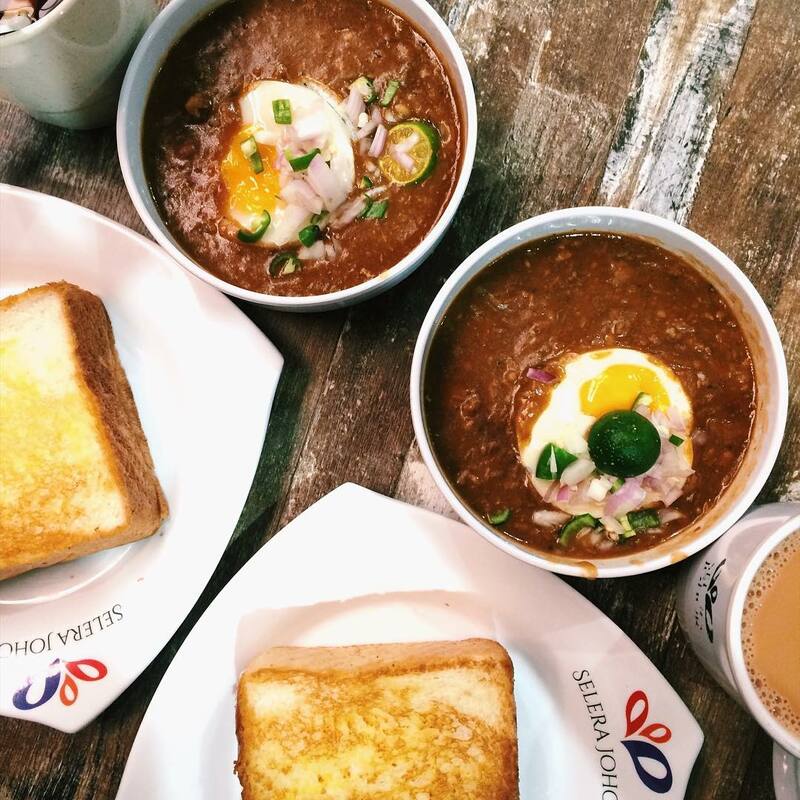 Johoreans enjoy this stew with a couple of slices of thick white toasted bread. A perfect neutral flavored vessel to soak up all the deliciousness in the bowl! Their nasi tumpang originally made to give convenience to farmers is enjoyed by the masses is a traditional Kelantanese delicacy is made of compressed rice that’s layered a variety of savory condiments such as sambal, meat floss, meat curries, and eggs. 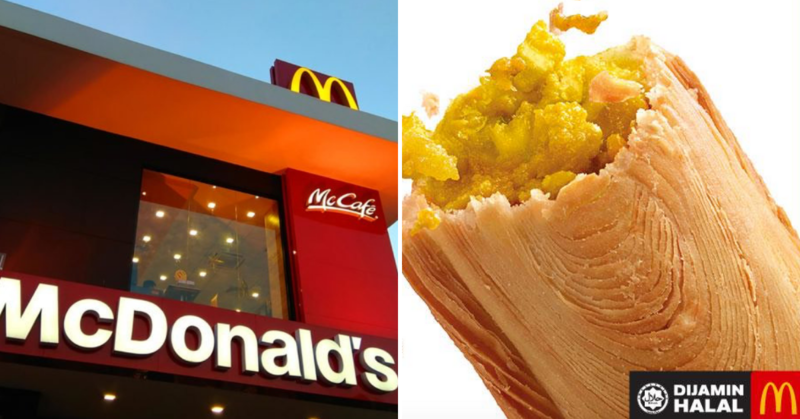 It is then wrapped into a conical shape with banana leaves. This is to preserve the freshness of the dish as well as to let rice marinade with the flavors of the curries. Kelantanese often calls it as Nasi Tupe. There are 2 ways to eat nasi tumpang which are use a spoon and eat it layer by layer or crumble and mix it all to a heap. 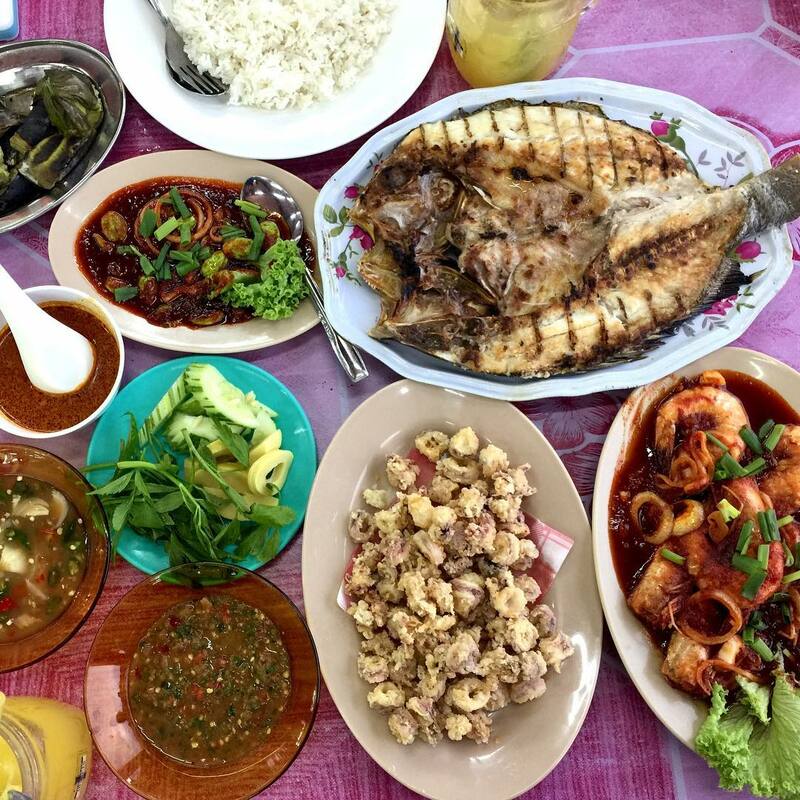 With the high Malay population (90%) in this charming East Coast state and its long coastline, it figures that the food will be predominantly ethnic with lots of fish, you can count on Terengganu for plenty of seafood dish. A very popular snack you can find is satar. 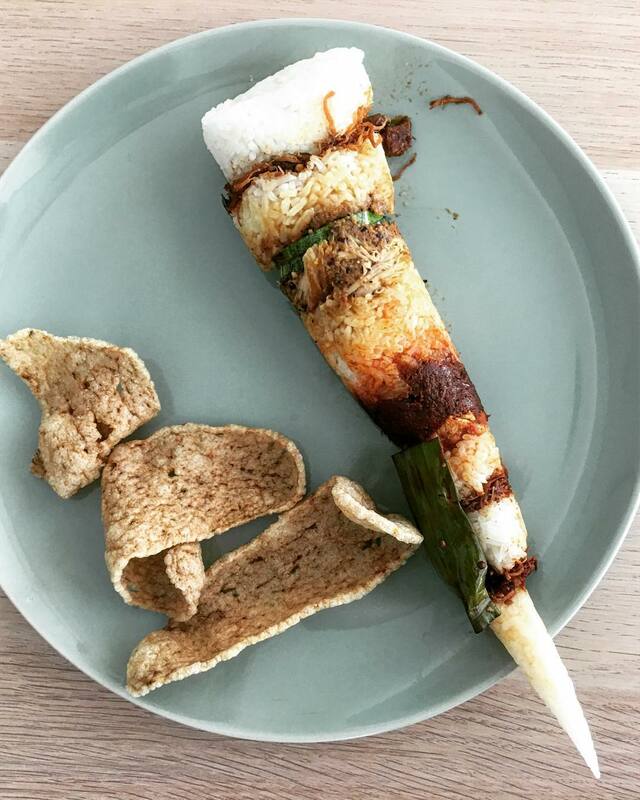 Deboned and mashed fish are mixed with desiccated coconut and a selection of herbs and spices, then wrapped into a cone shape in a banana leaf. Each cone is then skewered and charcoal-grilled, resulting in a spicy, fragrant, and smoky fish snack! Hours: 10 AM to 7.30 PM. Opens daily. 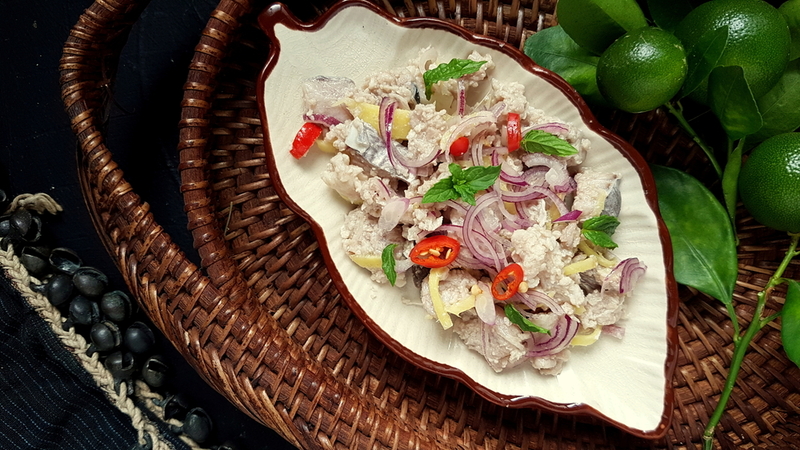 Originated from the Kadazan Dusun Tribes, Hinava is as raw dishes it can get encompassed of mackerel (ikan tenggiri), prawns, or squid Just like sushi or the trendy Poke bowls mushrooming everywhere! If anything, marinated with lime juice, together with a variety of seasonings such as salt, red chili, sliced shallot, and ginger, it’s a flavorful way of having sushi! 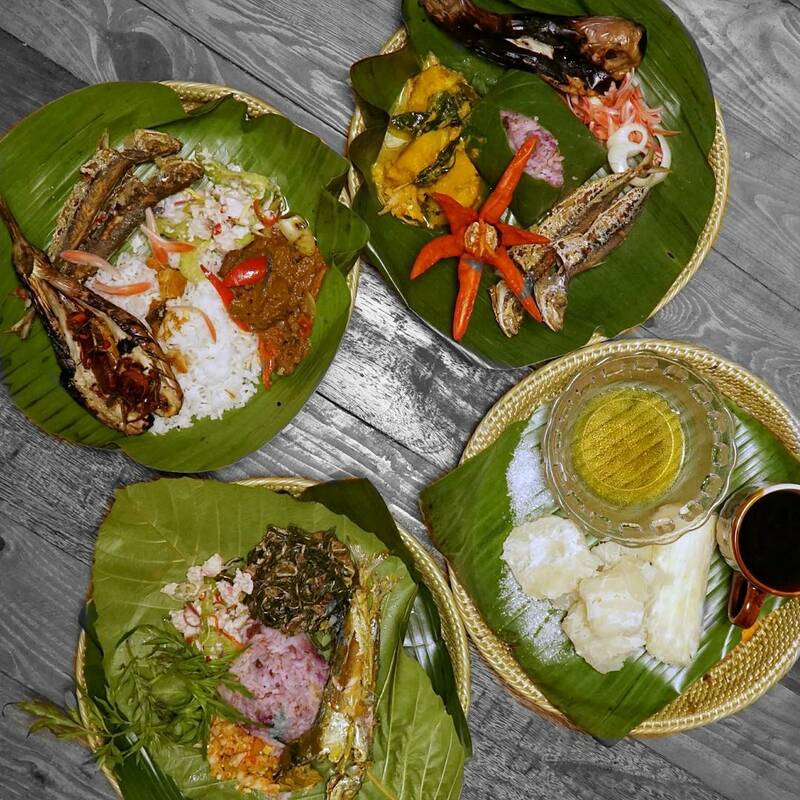 Where to eat : Hinava can be found in most traditional Kadazandusun restaurant, but of late, it has also been making its way to hotel buffet tables or served during special events and functions. 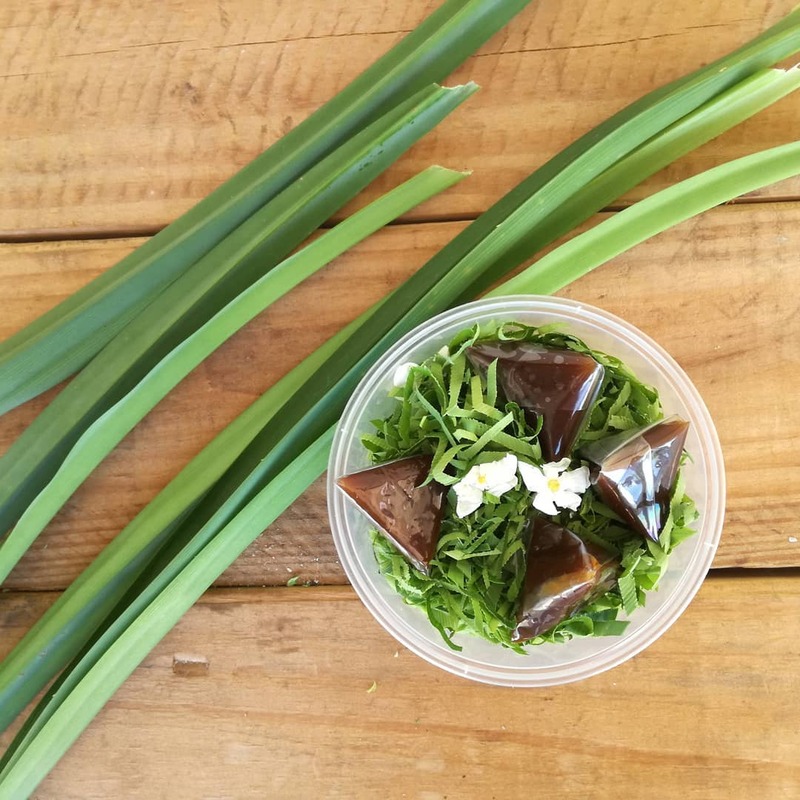 Have it with white rice or on its own as a salad dish. 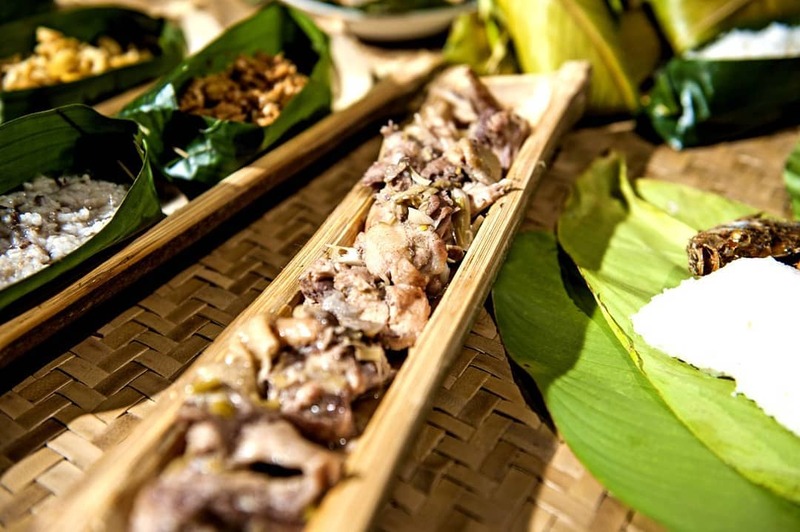 Manok pansoh, synonymous with the Dayak community in Sarawak comprising the Iban, Bidayuh and Orang Ulu is unique in the sense that its ingredients are cooked in a bamboo. 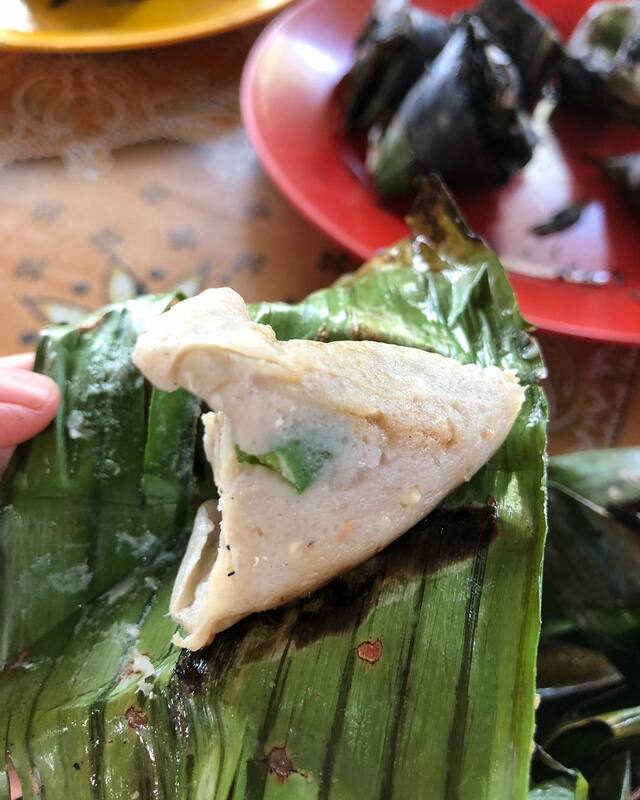 Cut chicken pieces, lemongrass, and tapioca leaves are stuffed into bamboo before it is cooked over an open fire. This cooking method seals in the flavour, which results in juicy and tender chicken with gravy perfumed by lemongrass and bamboo. 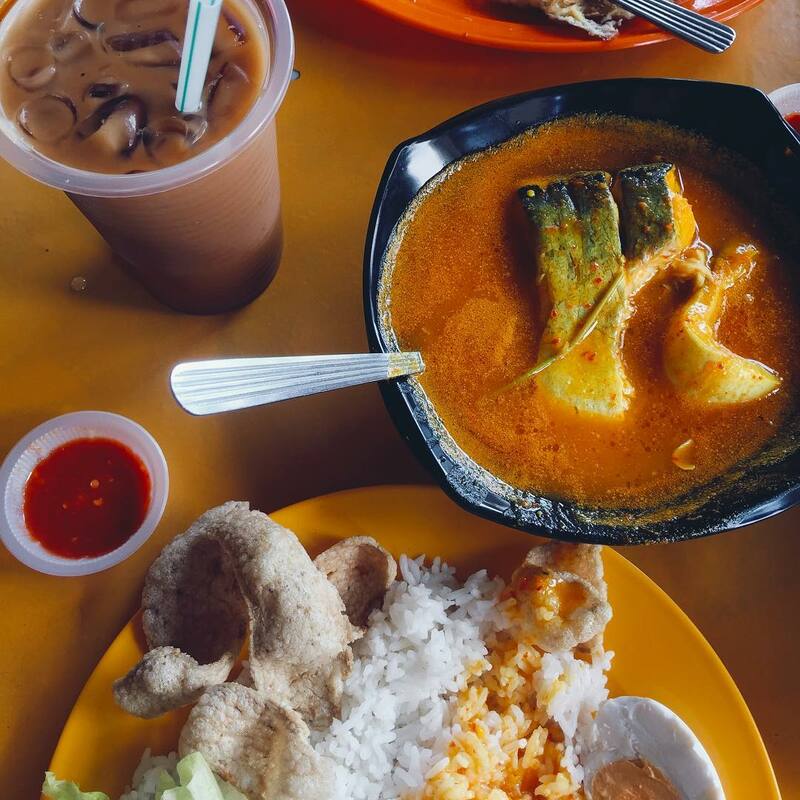 Hope you guys enjoyed today’s blog about 13 must-try Malaysian Food in Malaysia. I know we missed out a lot of great ones in this post! But don’t worry, we’ll continue to improve this article and hope you guys like it! Feel free to share with us your favourite Malaysia dishes in the comment below. We’d love to hear from you guys. Share it with your friends and family if you find this blog useful too! Thank you so much! 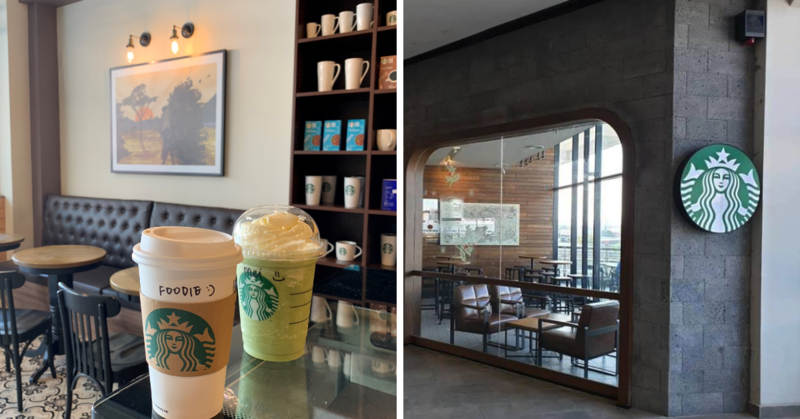 – Malaysia Foodie.